The island of Bali is not huge. In fact you can get from the southern part of the island in Seminyak to the north in Lovina in about 4 hours. Having said that, each regional area of Bali is as diverse and rich in culture and has it’s very own unique personality and identity. 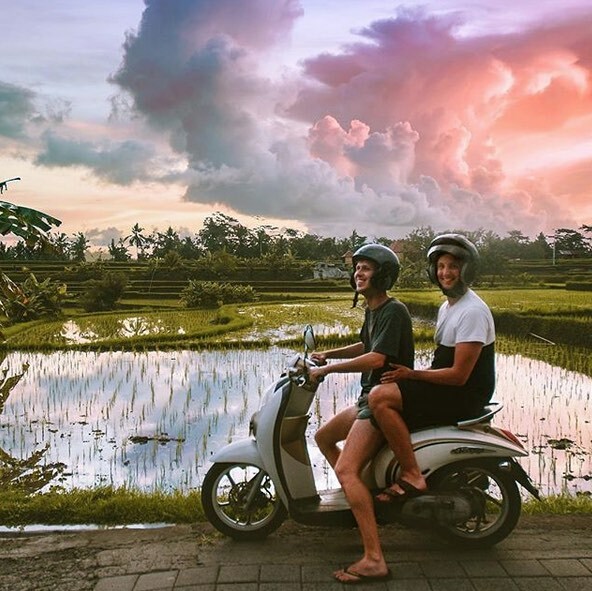 For most newbies or first timers to Bali this may be hard to decipher so we have picked the most well known parts of Bali to help you decide where you should stay in Bali. For more detailed information on where to go or what to do in Bali, read this great article. South Bali – this is the most touristy part of Bali where areas like Seminyak, Kuta, Uluwatu, Canggu, Berawa & Legian are found. 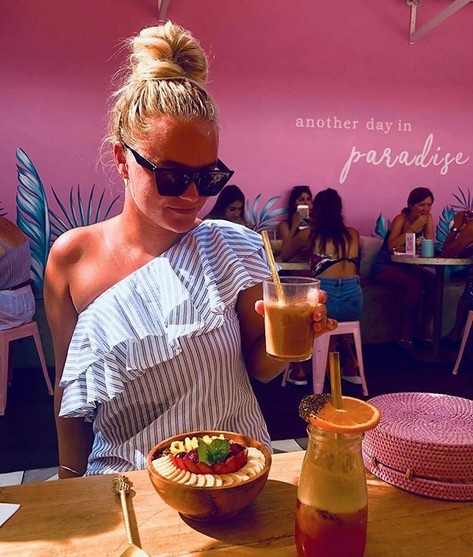 This is the tourist hub and if your into bars, shopping, nightlife, surfing, Bali villa accommodation, day spas, vegan cafes and hanging with other holiday makers this is the place to be. Central Bali – this is where you come to escapes the crowds and enjoy the spiritual side of Bali in Ubud, Gianyar & Bedugul. Ubud is the best known area in central Bali and is on the tourist map as one of the most popular places to visit. If your into yoga, vegan cafes, meditation, spiritual retreats, cooking classes and long walks among the rice fields, then Central Bali is where you should be heading. West Bali – For those that really want to get away from it all and immerse themselves in rural Balinese village, then areas like Medewi, Negara & Gilimanuk are the places to be. Gilimanuk is the place you come to get the ferry to Java. Medewi & Balian are laid back surfing villages with a chilled out vibe. Definitely no shopping or nightlife here. Take a good book & enjoy the serenity. North Bali – Lovina and the old capital city of Bali, Singaraja. It takes time to get here but it’s worth a few days to soak up the sun on the black volcanic sands of Lovina Beach. Very peaceful part of the island but because of this it is becoming more popular as travellers look for the Bali of yesteryear. East Bali – a real family destination where holiday makers come to enjoy the idyllic seaside areas of Candidasa, Amed, Kintamani, Klungkung, Mount Agung, Padang Bai & Tirta Gangga. You can climb Mount Agung or stay in your own private pool Candidasa villa on the ocean. Again, it’s far away from the crowds here. Things to do: Snorkelling, scuba diving, luxury villa living, cycling around the coast line, temples and completely chilling out and forgetting all the worries of the world! Families are going to want to have the convenience of a beach nearby as well as children’s entertainment, family friendly restaurants & cafes. If your coming to Bali as a family then ideally areas like Seminyak, Canggu, Legian, Berawa, & Umalas are going to be the best places. If your wanting a beachfront holiday Bali villa then there are loads of these throughout the Southern part of the island to choose from. Because these villas are on the beach they can get a bit pricey so make sure you are realistic about your holiday budget before doing your research. Also note, that during peak holiday periods & school holidays villa prices can double compared to other times of the year. In terms of entertainment families coming to Bali will want to be able to easily take the kids out for dinner and this means again, you will want to be in the main tourist hubs like Seminyak, Legian & Canggu. It makes it so much easier to get a taxi in these areas and most decent family restaurants are easy to spot. If this is your first time to Bali and you need some restaurant advice your villa manager will be able to offer up suggestions. A good place to begin is Seminyak Square. That’s the main hub and has the highest concentration of places to eat. To keep the kids entertained (and if it’s raining in Bali), you will want to take them to the beach. For more excitement definitely head to the Finns Recreation Park in Canggu and the Waterbom Park in Kuta. Bali, is jam packed action for kids and there is no shortage of things for them to do. Don’t stress about keeping them busy & entertained. We find that the majority of families will prefer the tried, proven & well known areas of Seminyak & Canggu. For families that want to escape the crowds & have a more private setting for their holiday areas like Jimbaran, Candidasa, Uluwatu, Ubud and Sanur are on the menu. These areas are a lot less frenetic and noisy than Seminyak and offer families a choice of villa accommodation among the rice fields or beach. Again, don’t expect too much nightlife or excitement in these areas. For family activities in these areas it’s going to the beach, surfing, swimming, hanging in your villa & enjoying the facilities or spending time touring the island and seeing all the great sights, temples and immersing yourself in the culture. Couples who want adventure can head off to Ubud and do some white water rafting or do the Campuhan Ridge walk. They can also learn Yoga or how to cook at the many schools & studios throughout Ubud. Ubud is famous for it’s homestays where couples can rent a room for less than $30 per night, right through to romantic holiday villas that are close to cafes & restaurants in central Ubud. For couples that like their shopping, cafe culture, enjoy a few sunset drinks on the beach, like going to day spas & want to try the latest in vegan restaurant then Seminyak & Canggu is a must. These areas offer a plethora of accommodation types to satisfy and holiday budget or style for the two of you. For the couple who want a romantic escape and want complete privacy then you really have a huge choice as Bali is definitely a place for romance and honeymoons. We do recommend areas like Seminyak, Canggu, Batu Belig and Berawa where there are lots of lovely 1 bedroom Bali villas to rent that offer an exclusive private pool ambiance. Great for a honeymoon! This is actually getting a lot harder as Bali’s popularity increases year on year. 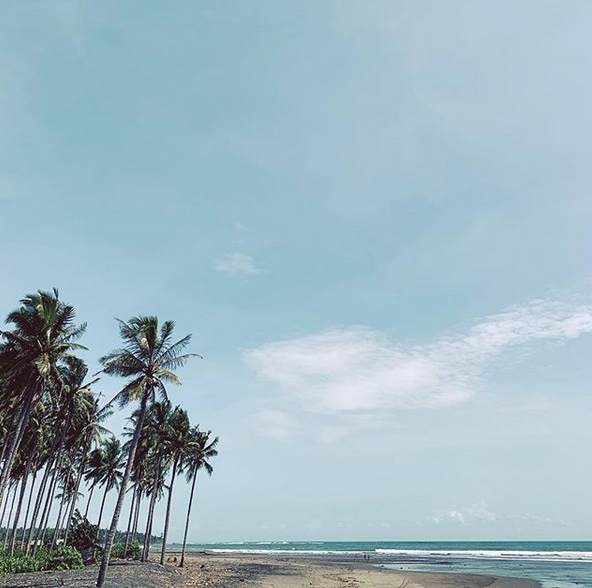 Our recommendation is to either try the East Coast areas of Bali like Keramas, Candidasa where you can have a beach style holiday far removed from the crowds. Alternatively, you may like to head all the way up north to Lovina where you get glimpses of what Bali was like 20 years ago. If the beach is not your thing and you want a more cultural holiday then inland areas of the island are probably more suited to you. Try Gianyar, Besakih & sideman. Here you may have to compromise on accommodation and keep expectations low as these places are off the tourist trail. For a cultural experience we do suggest Ubud but this is very much a tourist hot spot. Perhaps go there for the day and take a look around. 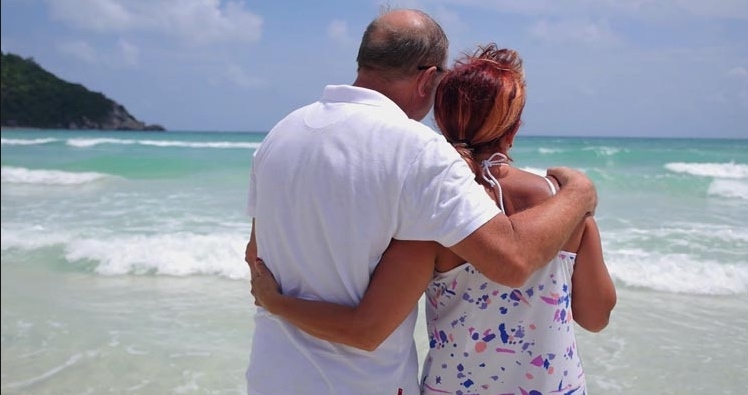 Most seniors want to relax by the pool and be in a convenient location where they can go for a meal at night. They also like a bit of shopping and enjoy a nice cafe latte with their lunch. For seniors heading off to Bali the best areas for them are Seminyak, Legian & Sanur.. In terms of accommodation there are many 5 star resorts and luxury Bali villas that offer the type of service and facilities to satisfy event the most demanding of seniors; chefs, butlers, house keeping, airport transfers, air conditioning, wifi and if need be doctors can be arranged. Bali is definitely a party island if you want it to be. The main areas for this are Seminyak, Legian & now Canggu. There are loads of bars & clubs in these areas that cater for those that want to mix, socialise and dance the night away. There are also many hip day clubs that offer a pay like atmosphere. The popular ones include; Ku De Ta, Potato Head, Miss Sippy, La Brisa, La Laguna & Tropicola. There are also many inexpensive bars that have a really causal vibe where you can still walk around in a t-shirt and thongs if you like. Canggu is now increasingly popular with ex pats and hipsters looking for a cheap night out where as Seminyak offers a more up market party experience. Legian is definitely for those that like to party hard. Seminyak is the centre of all the action in Bali and is well known for the range of hi-end luxury villas and trendy, very fashionable boutiques, restaurants and bars. If you want to really experience all that Bali has to offer and throw in the nightlife as well, then Seminyak is your destination. You will find that the atmosphere is sophisticated, classy and the beach is quieter than other tourist areas. The Seminyak area is also the Spa and shopping capital of Bali. On the East side of the island, Sanur has a quiet, mellow and relaxed feel with an abundance of private villas to choose from.